Duplicate search engine listings for your company may sound like a good thing at first- after all, if your business is listed more than once, that increases your web traffic, right? Actually, not so much. Having your business listed more than once, in either a single account or multiple accounts, can seriously hurt your website’s ranking, which ultimately can cost you customers. Why Are Duplicate Listings Bad? good practice is that a search engine will treat your company as two or more different businesses with different websites, all because there is more than one listing present. This can lead to online reviews being split up amongst the duplicates rather than all being present on one page, which can hurt your overall review score. Additionally, if any of those listings has an outdated address or phone number for your business, it can greatly impact the number of customers who are able to locate you. How Do I Fix My Duplicate Listings? If you currently have more than one listing for your website, or if you are not sure how many listings you have, fear not- there is a way to correct the issue. It is possible to get duplicate listings removed by going through the proper channels. 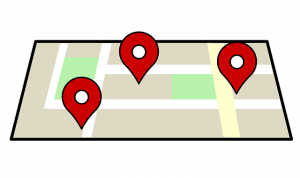 In the Help section of Google My Business, there are comprehensive instructions for removing duplicate locations both in your account and on Google Maps. By following the detailed directions, you can remove the duplicates yourself and get back down to one listing with good data. For search engines other than Google, you will need to go through a similar process to clean up duplicates and make sure the one listing you are left with has accurate NAP (name, address, phone) data so potential customers will be directed to the right place. Most large search engines and review sites will have a Help section in which they can instruct you on how to remove duplicates, so it is really just a matter of taking the time to go through and remove them. This connectivity.com blog post gives detailed step-by-step instructions for each major site where you may have duplicates lurking, and is a really good starting point. Local Search Titan Can Help! Once you are back down to one listing, be prepared to see the difference- customers will be able to find one website, and only one website, for you, which can lead to more consumer reviews, a boost in organic traffic, and hopefully more customers making a purchase or signing up for the services you offer. Removing duplicate website listings is an essential component to local SEO success, and can make a huge difference in the long run. Need some help? Contact Local Search Titan today for expert local SEO advice!